For the last few years many experimental data, essentially originating from neurophysiological studies, have accumulated to show that the interactions of inputs from different sensory systems occur in the neurons of the central vestibular system. 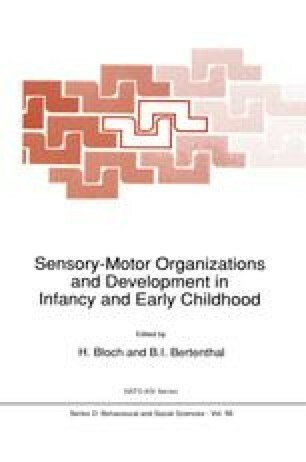 The focus of this chapter will be to investigate the vestibular system as a model of sensory interactions and relate it to postural motor outputs which can be recorded during early postural development. After a brief review of physiological aspects of the vestibular system, we shall focus attention on the pre-and postnatal development of the labyrinth in animals and humans. Then neurophysiological data and the psychophysics of visual vestibular interactions will be presented in order to demonstrate that such interactions can be observed in neonates at an early age.